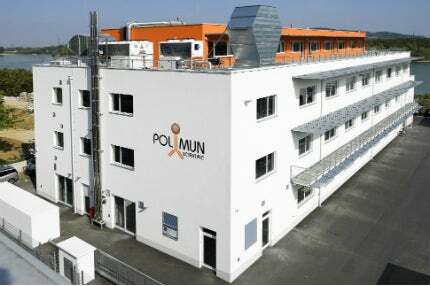 Polymun Scientific is a family-owned company in Klosterneuburg, Austria, founded in 1992. The company’s core activities are contract development and good manufacturing practice (GMP) production of biopharmaceuticals and liposomal formulations of active pharmaceutical ingredients (API) and vaccine antigens – for clinical studies and the market. The company uses its revenues to invest in research and development (R&D) projects and the further development of technology platforms. Polymun operates in accordance with current GMP guidelines and holds an Austrian production license, meeting all EU requirements for drug manufacturing. In addition, Polymun’s facility is accepted by the US Food and Drug Administration (FDA). Polymun employs a team of about 75 dynamic and highly qualified scientists, technologists, and support staff. With high quality and reliability, innovation and creativity are strongly encouraged at Polymun. It is a flexible partner focused on the requirements of its clients. The core competence of Polymun is the development and GMP-compliant manufacture of biopharmaceuticals, using both mammalian and microbial cell technology. The company offers all steps from the gene to clinical grade material for innovator and generic products. Polymun has gathered experience in designing purification processes for proteins of all kinds, including antibodies, hormones, and enzymes. A wide range of analytical methods is available and can be readily adapted to new requirements. GMP-compliance and industrial applicability are central to all operations. Contract manufacturing includes the preparation of investigational medicinal product dossier (IMPD) and chemistry, manufacturing, and controls (CMC) documents. Polymun is able to support planning and organisation of clinical studies. As a small, independent, and private company, Polymun has no conflict of interests, granting a high degree of flexibility and security for its clients, including the possibility of technology transfer. Liposomes protect, transport, and release your drug at the right place and time. By this, a reduced dose achieves better efficacy and avoids side effects by a non-invasive application. Polymun offers the development of liposomal formulations for all kinds of APIs and vaccine antigens. The company manufactures GMP materials, including all necessary documentation. It also assists in the planning of clinical studies. License agreements for Polymun’s patented liposome production technology are offered for the respective substance on an exclusive basis. Contracts can be arranged step by step, with proof of concept, in-depth analysis, GMP-material production, product license, or a combination. Industrial applicability is the focus throughout each project. Polymun’s technology enables the industrial realisation of pharmaceutical and cosmetic products for liposomal drug formats. The production technology is suitable for a broad range of substances formulated by passive entrapment, active loading, or membrane incorporation. Polymun offers the development of liposomal formulations for all kinds of pharmaceutically active ingredients and vaccine antigens. A broad spectrum of analytical methods has been established for this purpose.